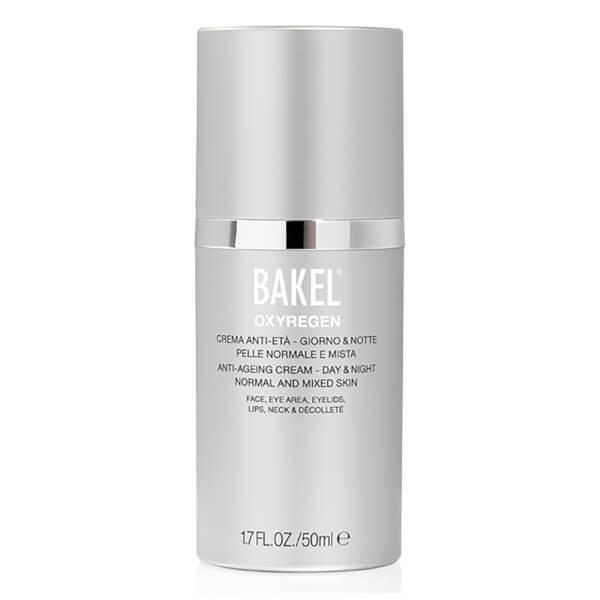 Made up of 10 active ingredients, the BAKEL Oxyregen Regenerating and Oxygenating 24H Cream revitalises, regenerates and refreshes the skin helping to combat the first signs of anti-ageing. Skin will be left soft, smooth, toned and with a healthy glow. The contained biotechnological oxidising yeast works to improve the skin cells ability to breathe in the tissues therefore meaning that the cells start to repair themselves from any external damage caused by environmental aggressors. Olive oil, jojoba oil and avocado are renowned for their anti-ageing properties and they work to keep any early signs of ageing at bay. Be prepared for noticeable results after just a few uses. A.B. 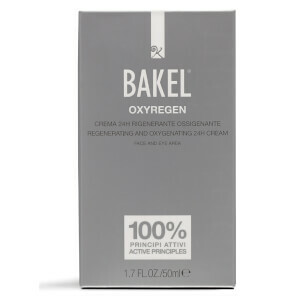 Apply in the morning and evening and massage into your face, neck, décolleté and the area around your eyes. Advice: If you are in a rush and do not have time to carry out your full skincare regime, apply a generous amount of OXYREGEN and then apply your make up.